(Reuters) - International sales could eventually account for 30 percent of Lockheed Martin Corp's (LMT.N) annual revenue, Chief Executive Officer Marillyn Hewson told Reuters on Wednesday. Hewson said international sales contributed 20 percent of total revenue in 2014, and the company was on track to boost foreign sales to 25 percent of overall revenue in the next few years. She added that she could envision foreign sales expanding to 30 percent, but gave no timeframe for when that could occur. "As we continue to expand our footprint in key countries, I could see (sales) up getting to 30 percent," Hewson said in an interview during an annual media day hosted by the Pentagon's No. 1 supplier. 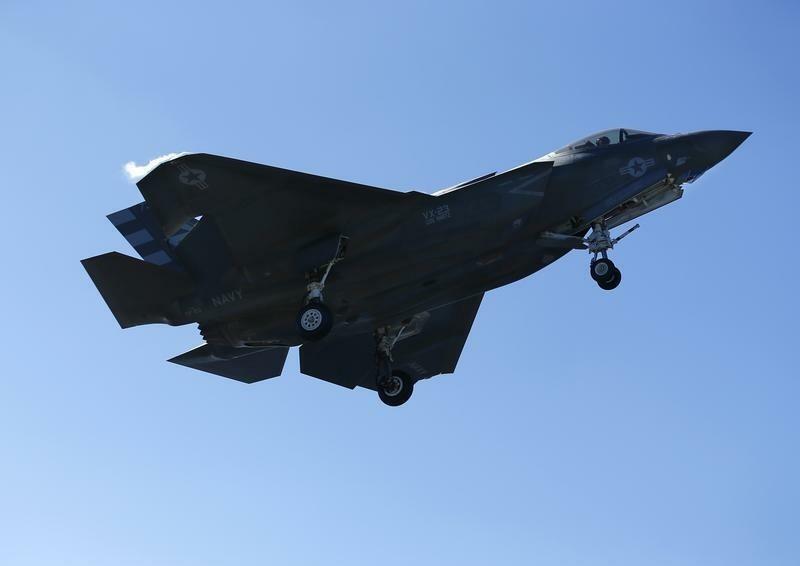 She cited expected growth in international orders for the F-35 fighter jet, missile defense systems, cybersecurity and information technology services, the C-130J transport plane, and commercial satellites. Over the next five years, nearly half of F-35 orders will come from other countries, she said. Hewson said Lockheed opened new offices in Canada, Britain, Israel, Qatar and the United Arab Emirates last year, and had hired hundreds of people in those countries. She also welcomed ongoing efforts to expand U.S.-India defense ties, and said Lockheed was well-positioned there with a joint venture with Tata Sons [TATAS.UL] that builds components for the C-130J transport plane. Rick Edwards, executive vice president of Lockheed's Missiles and Fire Control division, told Reuters in a separate interview that he saw bright prospects for sales of missiles and missile defense equipment in Europe, Asia and the Middle East. He said he expected Saudi Arabia to finalize a large order for the Patriot missile defense system built by Raytheon Co (RTN.N) and PAC-3 missiles built by Lockheed this year. It is also studying a possible order of Lockheed's Terminal High Altitude Area Defense (THAAD) system, a deal that could be booked in 2017, he said. Qatar is also looking at a possible THAAD order that could be wrapped up within the next two years, Edwards said. Poland and Germany are also weighing missile defense orders that could benefit Lockheed, with decisions expected this spring and summer, he said. In addition, Lockheed is hoping to land foreign orders for commercial and military satellites in coming years, executives said, without providing details about the timing or scope of specific deals.